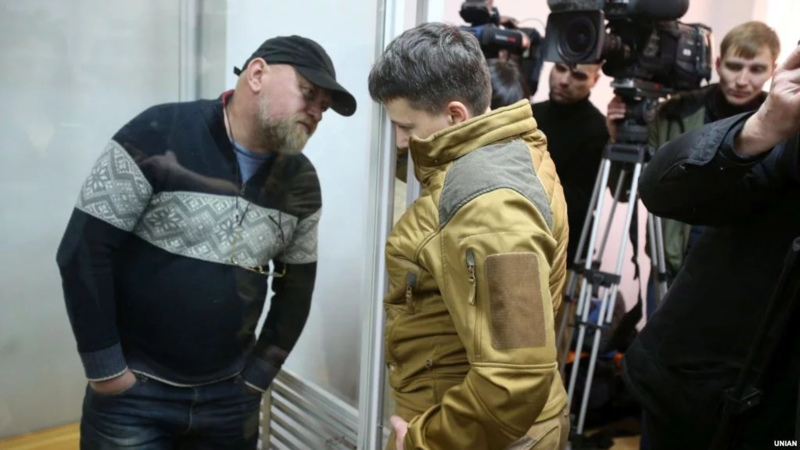 The indictment in the criminal proceeding against Ukrainian MP Nadiya Savchenko and the former leader of Officer Corps Centre Volodymyr Ruban was passed to the Supreme Court, as the press office of Kyiv Court of Appeal reported. March 29, 2019, the panel of judges of Kyiv Court of Appeal has partially satisfied the submission of the acting Chairman of Kyiv Solomensky Court on defining the territorial jurisdiction of the criminal proceeding against Savchenko and Ruban. The indictment in the criminal proceeding against Savchenko and Ruban was sent to the Supreme Court to define the jurisdiction. “By this decision, the panel of judges considered that Kyiv Court of Appeal has no right to decide whether the criminal proceeding against Savchenko and Ruban should be sent to another court, as, according to the indictment, criminal violations were committed within the territorial jurisdiction of different courts of appeal,” the message reads.